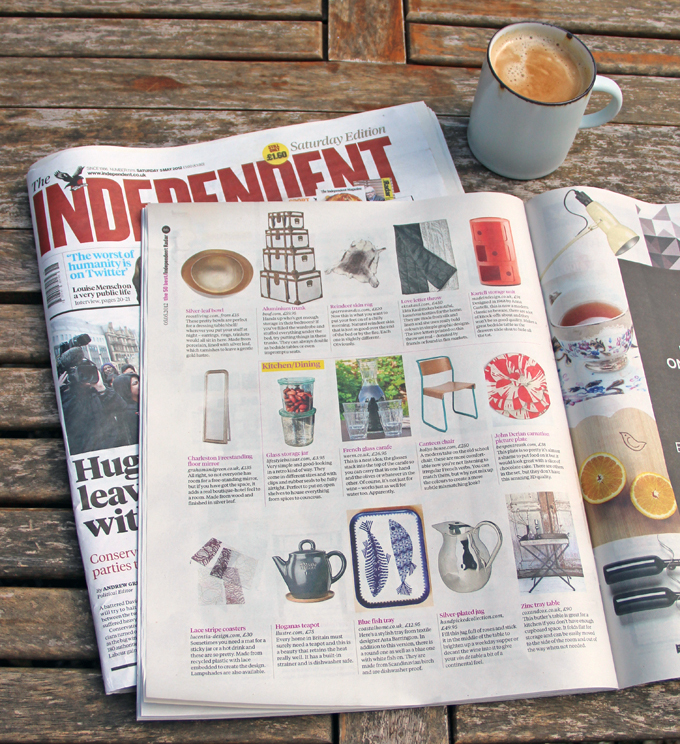 Imagine my surprise and delight on Saturday while idly leafing through the Independent newspaper and spotting my name and an Alabasta tray within an item about the '50 Best Homewares', edited by Kate Watson Smyth. 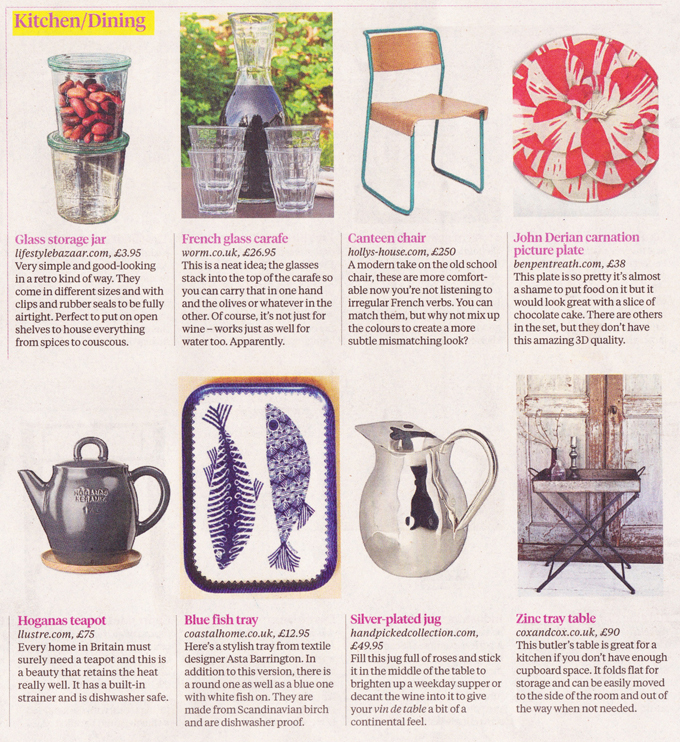 All the items in the article can be bought online and Alabasta trays are this time being promoted by Coastal Home. 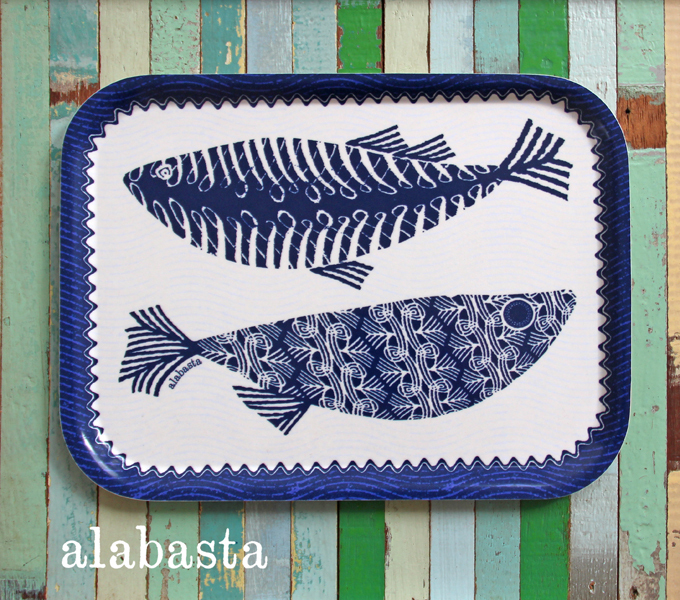 It's a seaside inspired collection of coastal home interiors, home accessories and outdoor furniture and sells the Blue Fish trays in three sizes as well as the 11cm mini tray coasters.